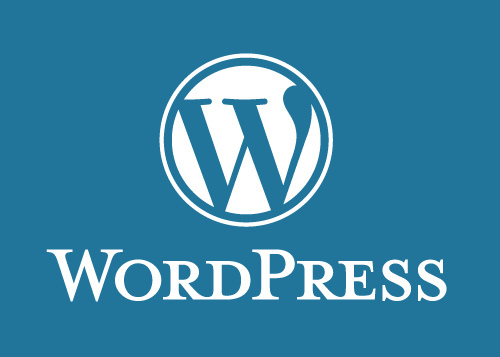 WordPress is the most popular Content Management System (CMS) in the world and holds the largest CMS market share, by far. In 2017 they had approximately 60% of the market share and accounted for 25% of all websites on the internet – which is pretty astounding when you think about how many websites there are. Since 2017 they have only continued dominating the world wide web. 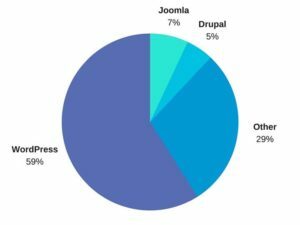 WordPress in 2018 now accounts for 30% of all websites on the internet and is holding 60.2% of the market share. Many people do not understand the significant importance of using an open-source CMS. Many companies build and try to sell you their proprietary CMS with a website (usually charging substantial amounts) but what they build will never be as good as WordPress, simply because a small in-house development team will never be able to keep up with the literally millions of developers contributing to the success of WordPress. Being the largest open-source CMS in the world also means that it is incredibly expandable! There are hundreds of thousands (maybe even millions?) of plugins for WordPress, which people have contributed and expand on the WordPress core functionality – a huge portion of which are free. These plugins allow you to easily do things such as add slideshows, contact forms, optimize for SEO, etc. No matter what you are trying to do someone has probably created a plugin to do it. Many web development agencies try forcing you to use their proprietary CMS – do not fall for this trap!! Not only will their proprietary CMS not be nearly as functional as WordPress, but because they need to “guard their proprietary software”, you are forced to host the website with that company. Once you are forced to host with that company they have you over the barrel and can charge anything they want. Many of these companies will charge $700 per month just for hosting, which many people don’t find out about until after the website is delivered. If you decide to stop doing business with that company you do not get to take the website with you because they own the proprietary code; in essence you are actually only renting the website you have paid for in full. Because WordPress is open source (not proprietary) it can be hosted anywhere. Don’t like the company / developer / host you are dealing with? You can simply move your website to another business. WordPress was originally developed for non-tech savvy bloggers; because of this most of the user-interface components are easy to use and many of the premium themes also come with a visual editor. We can help with the website design and complexities of setting up and customizing your website; once that is done managing your content is an extremely simple process. WordPress incurs fewer setup, customization, and maintenance costs in comparison with other open source CMS like Drupal and Joomla. Even maintaining multiple websites is easy, with plugins built specifically for that. Because of it’s popularity WordPress is not only supported by all hosting companies but usually there is a quick-install built into the hosting – meaning it can be setup within just minutes. Do not believe the lies. That is like saying “PC’s are less secure than MAC’s”; it isn’t a matter of PC’s being less secure than MAC’s so much as the fact that no one writes virus’ for MAC’s since 90% of computers are PC. WordPress is in fact more secure than most proprietary CMS. Not only does WordPress regularly release security updates, but there are many plugins you can install which monitor the sites security. If you do happen to be hacked, chances are it is because you did not install any of the free security plugins and have not downloaded a security update in years; simply keeping WordPress up-to-date will stop 99.9% of attacks. All of this is of course ignoring the fact that there is rarely much reason to be concerned, as long as you are not storing customer information, and if anything were to happen you simply restore your website to a recent backup. Did I mention there are hundreds of free backup plugins to choose from, which allow you to make automated scheduled backups of your website, and then easily restore it? WordPress is by far the best CMS currently in existence. There is nothing proprietary CMS can do that WordPress cannot, but millions of things WordPress can do that proprietary CMS cannot.